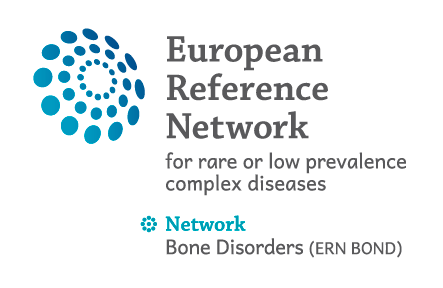 Due to the complexity and low prevalence of rare diseases, as well as to the limited body of knowledge, experience and expertise in the field of rare diseases, the role of rare diseases patients (as experts in their diseases) in the development of ERNs is fundamental. Therefore, a higher level of involvement of patients in the decision and opinion-making processes is essential to ensure the successful development of ERNs. EURORDIS has established a Patient Advocacy Group (E-PAG) for each emerging and established RD ERN, gathering elected patient representatives who will ensure that the patient voice is heard throughout the development of ERNs. E-PAGs are formed of member organisations and elected representatives. E-PAG member organisations are aligned to the grouping of the rare diseases covered by the respective ERNs. E-PAG representatives are elected by the E-PAG members to be their voice at the ERN Board and ensure rare disease patient organisations are consulted by the ERNs for disease-specific discussions, project and activities. Concrete participation of E-PAGs will facilitate the Network to develop cost-effective supportive environment that enables citizens to become more pro-active in co-defining and implementing healthcare plans. This will focus both on active health management, and on improving self-management of medical conditions. E-PAGs members and patient associations will be actively involved in WG9 “Visibility Towards Patients & HCP”, with dedicated funding allocation to support specific activities. WG9 “Visibility Towards Patients & HCP” will work for an effective communication and engagement of the end users and all the relevant stakeholders, including: patients and caregivers, the general practitioners, other stakeholders such as patients associations, caregivers associations, policy makers, the scientific community, the industry and the public health institutions.